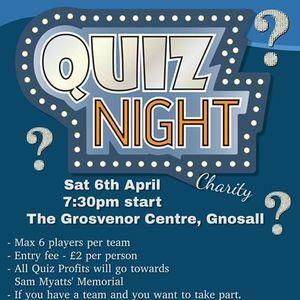 Quiz Night - for the support of Sam Myatts’ Memorial! -2 bottles of wine or 1 gallon of beer/cider for the winning team! 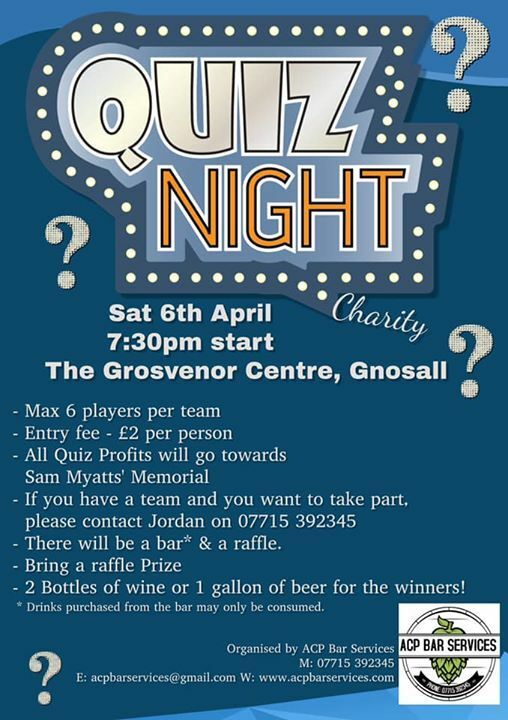 -All quiz and Raffle profits will go to Sam Myatts’ Memorial.